Tribal flames vector art stock footage pack. Red and orange gradient background image with flowing and twisting shapes and a set of black hot rod vector flames. 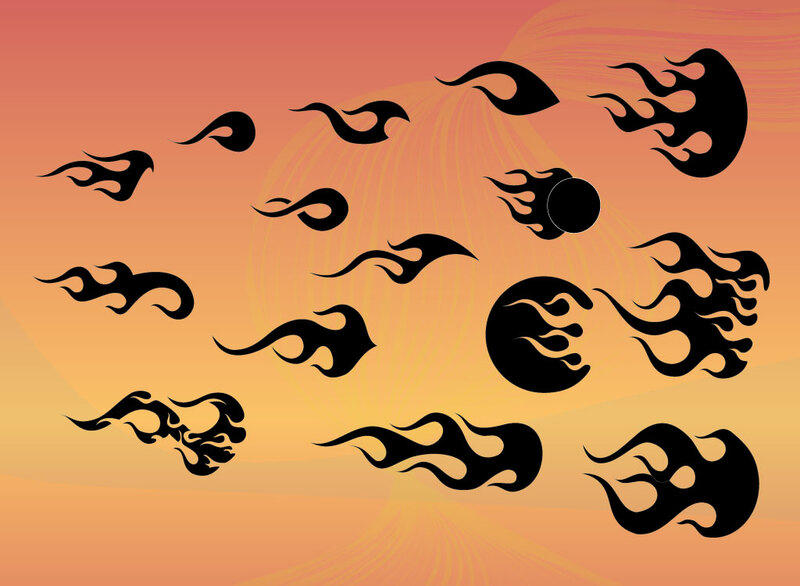 Fifteen fire graphics in total in the free download to create fireball, bonfire, danger, devil, explosion, heat, light, rocket and tribal tattoo graphics. Stock backdrop and highly useful decoration elements make this a file of great value for your freebies library. Tags: Bonfire, Burn, Fire, Flaming, Heat, Hot, Tattoo Vectors, Tribal Graphics.